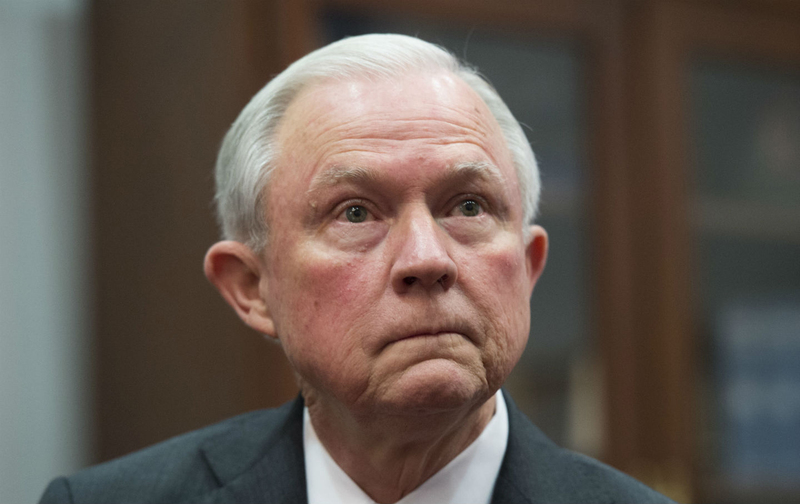 Amid claims and counterclaims about Senator Jeff Sessions’s record on civil rights, it is important to step back from the clamor and take Sessions’s measure against that of leading occupants of the modern attorney general’s office. No matter their political party, trailblazers at the Department of Justice helped presidents and the nation take major steps forward in establishing civil-rights law and protections. Forward-looking attorneys general, along with outstanding career attorneys, have helped to desegregate schools and universities in the face of harsh resistance; to put an end to Jim Crow laws; and to confront discrimination in our of criminal and civil justice systems. They showed moral conviction with their actions. It is only right, then, that senators weighing confirmation of Donald Trump’s nominee in upcoming days ask themselves: Is Jeff Sessions of the moral caliber to stand alongside predecessors who made such great strides in advancing civil rights? We believe the answer is a resounding “no.” Sessions’s unequivocal record of racial insensitivity and hostility to protecting civil rights, and his extreme-right ideology, suggest he would willfully work to reverse the decades of civil-rights progress that Robert F. Kennedy and others who occupied the top Justice Department job boldly set in place. In the 1950s, Attorney General Herbert Brownell created the Justice Department’s Civil Rights Division when Republican Dwight Eisenhower was president. Brownell’s department filed a brief to the Supreme Court opposing school segregation in Brown v. Board of Education. He had a role in shaping the Civil Rights Act of 1957, the first civil-rights legislation passed by Congress since the Reconstruction period. Brownell advised Eisenhower of a constitutional responsibility to send federal troops to enforce court-ordered desegregation of Little Rock schools. And he “speeded desegregation by encouraging the President to name judges who vigorously carried out the Supreme Court’s school integration decisions in the South,” The New York Times wrote after his death. During the 1960s, Attorneys General Robert Kennedy (under President John F. Kennedy and Lyndon B. Johnson,) Nicholas Katzenbach, and Ramsey Clark (both under Johnson) were instrumental in advancing equal justice under the law. Their names surface prominently in accounts of the conflicts and milestones of the civil-rights movement, including the integration of Ole Miss in 1962 and of the University of Alabama in 1963; and the drafting and passage of the landmark Civil Rights Acts of 1964 and 1968, as well as the monumental 1965 Voting Rights Act. More recently, the Justice Department under Attorneys General Eric Holder, named by President Obama as the first African-American attorney general, and Loretta Lynch revitalized the Justice Department’s Civil Rights Division. They fought in places like Ferguson and Baltimore to ensure that authorities enforce the law effectively consistent with constitutional values; worked to ensure that all eligible Americans are able to vote; and enforced the rights of people with disabilities to stay in their communities rather than be institutionalized. Sessions’s defenders like to claim he supported school desegregation as US Attorney for the Southern District of Alabama. But media reports suggest those claims are greatly exaggerated. And significantly, as Alabama’s attorney general Sessions spearheaded the fight against a court ruling that found unconstitutional the great disparities in funding between wealthy and impoverished school districts. That gap followed state voters’ passing in 1956 a constitutional amendment depriving pupils of a public-education right, to circumvent Brown v. Board of Education. Although the ruling ultimately was upheld, Alabama’s public schools have never caught up and get near-failing grades nationally. Last week, civil-rights activists waged a sit-in at Sessions’s office in Mobile in a protest against his nomination. What a stark contrast with June 1963, when Nicholas Katzenbach stood up to Governor George Wallace in person at the University of Alabama over the school’s court-ordered desegregation, or March 1965, when Ramsey Clark participated in a federally sanctioned civil-rights march from Selma to Montgomery. To avert tragic reversals by Trump’s Justice Department and to protect the rights of all Americans equally, senators must study and grasp Jeff Sessions’s disturbing record, consider the progress he would unravel, and then reject his nomination as attorney general.